Liverpool defender Virgil van Dijk insists that Mo Salah will regain his goalscoring touch at Anfield. 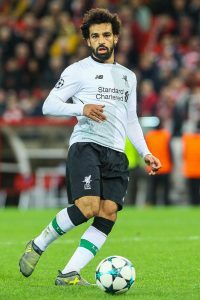 The Egyptian has not scored in seven matches with the Reds despite plundering 44 goals in all competitions in his first season since arriving from Roma. He has experienced a drop off in form this season but has still managed to net 20 goals. van Dijk has backed him to rediscover his red-hot appetite for goalscoring sooner rather than later. Talking to Liverpool’s official website, the Dutchman said: “Mo is a world-class player. People can say all they want but I think all the teams in the Premier League would love to have him in their side. We have him and I think he is playing well. The Egyptian currently sits second in the race for the Premier League golden boot, only one goal behind Sergio Aguero. He is at 7/2 with Betfred to be named top goalscorer come the end of the season.